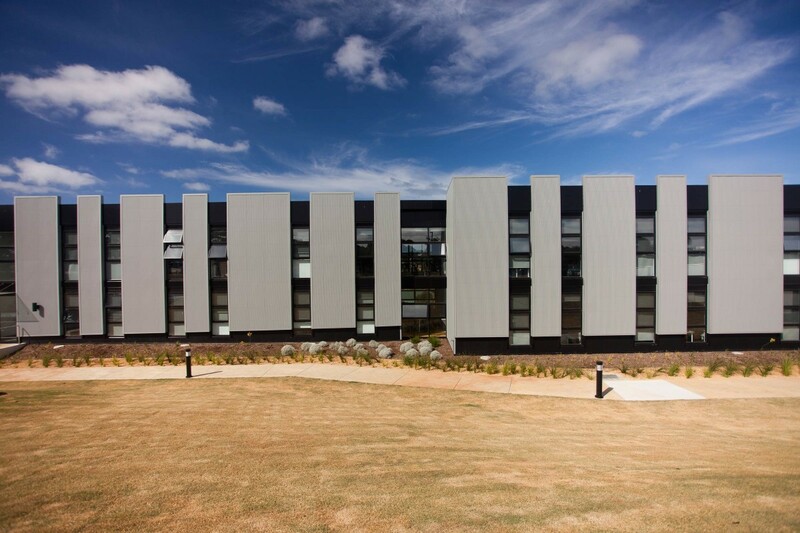 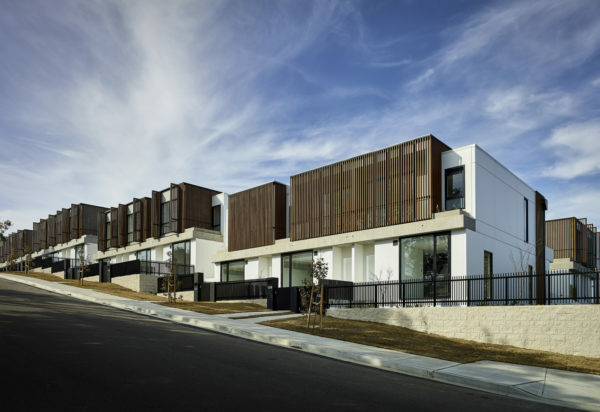 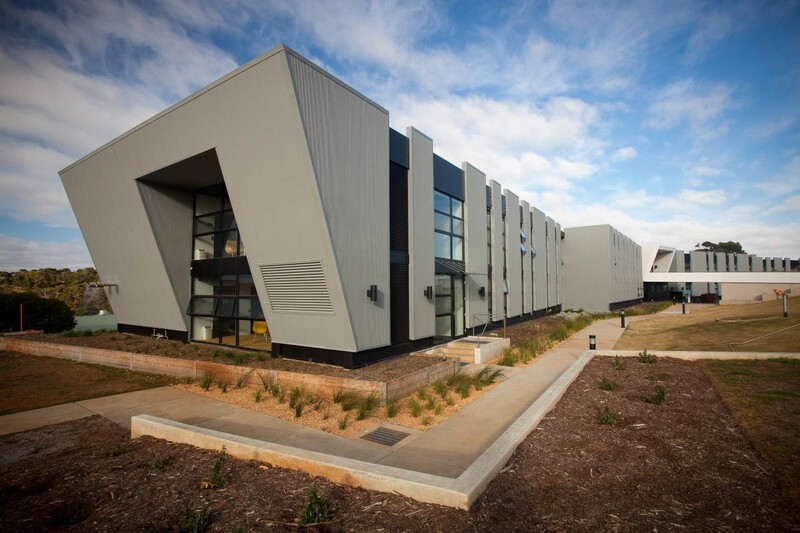 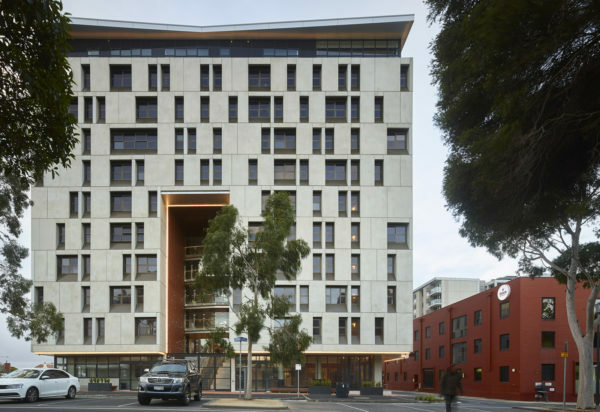 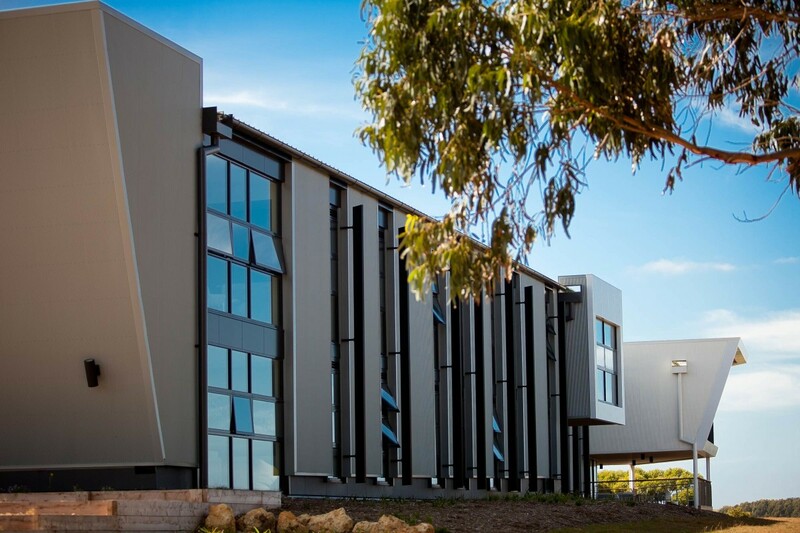 Deakin University’s student accommodation project at Warrnambool Campus provides affordable and quality housing with an emphasis on social Interaction. 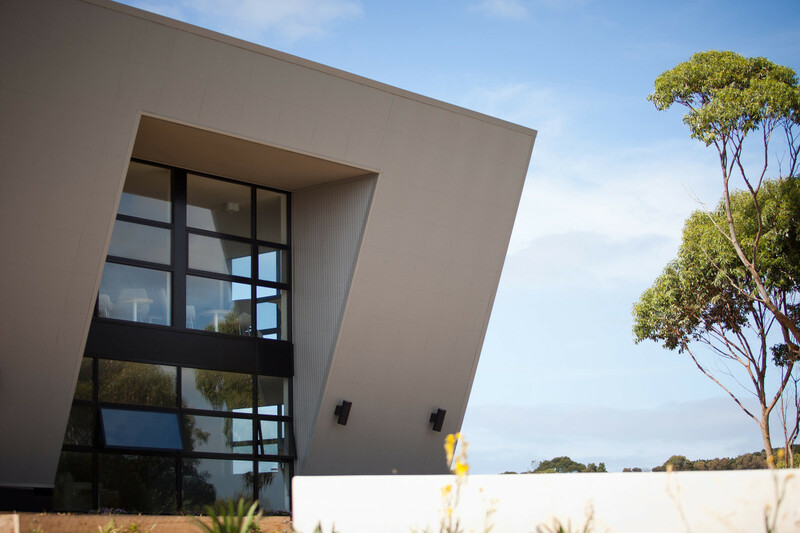 The building explores ideas about traditional rural dwellings and interprets these through careful consideration of scale and materiality. 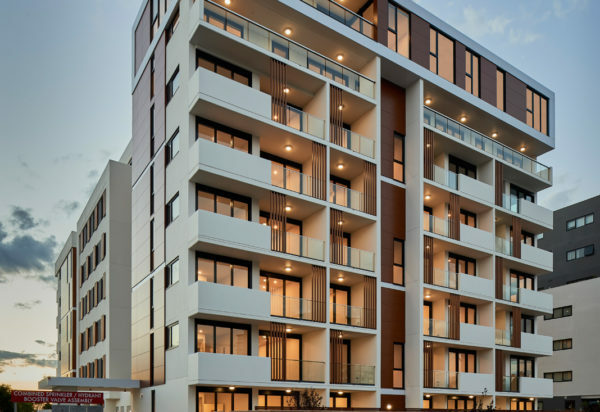 It’s ‘shed-like’ appearance is deliberate and refined through the vertical rhythm of windows units which appear like bold striations along the building’s length. 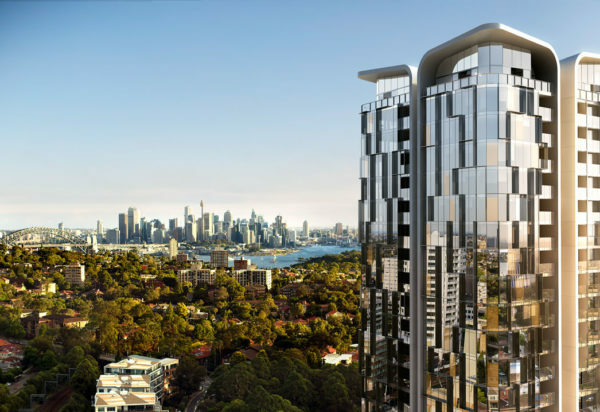 The sloping topography of the site presents an opportunity for first level access via an elevated walkway. 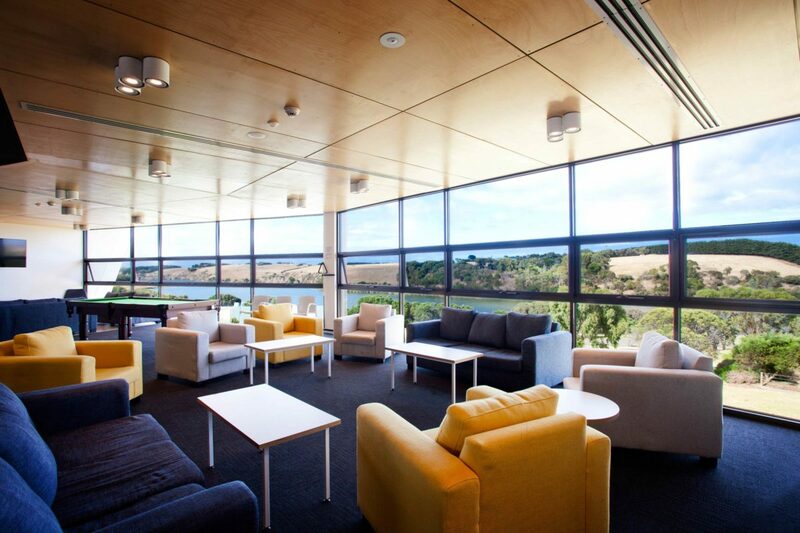 From this raised platform, spectacular views across the rural landscape and river are captured. 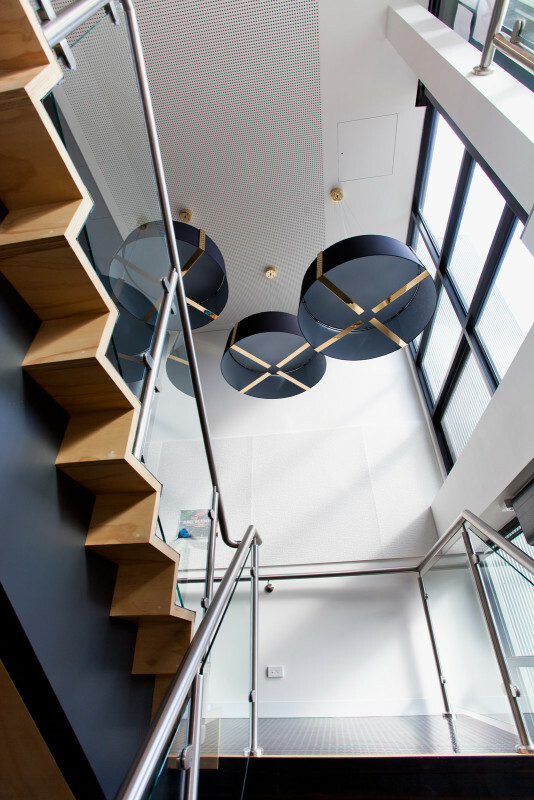 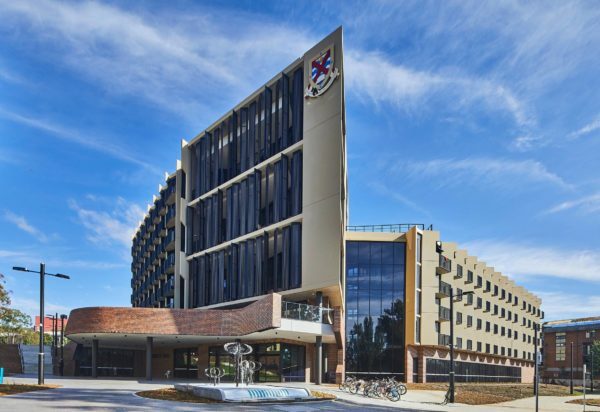 The building improves accessibility to the campus as a whole, creating new links between existing accommodation dwellings and the student services cafeteria. 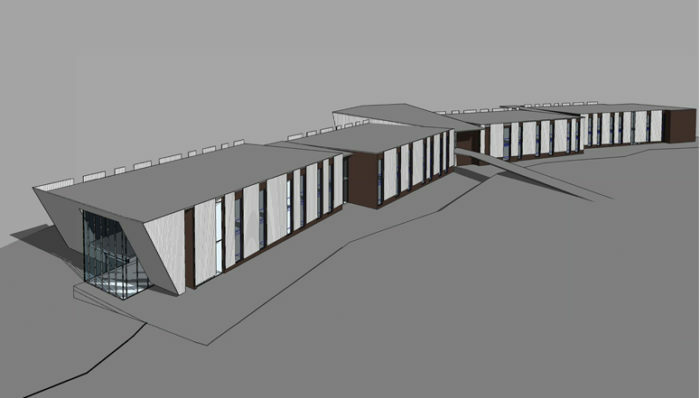 The proposed facility will provide 102 self-contained dwellings including accessible apartments with social interaction spaces and associated services. 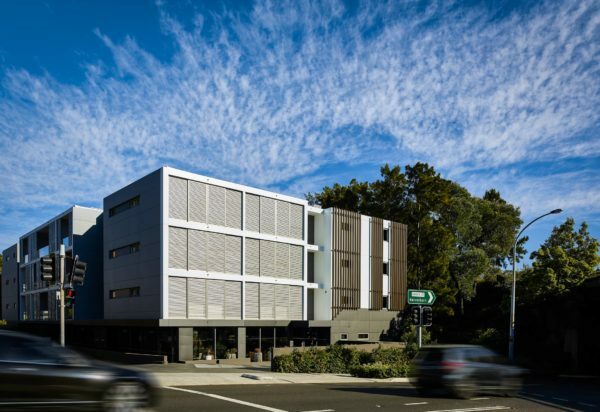 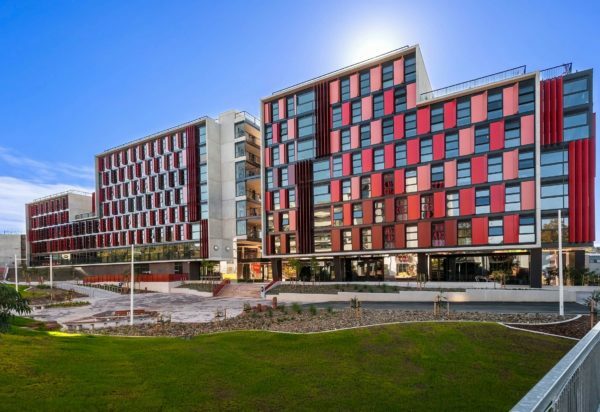 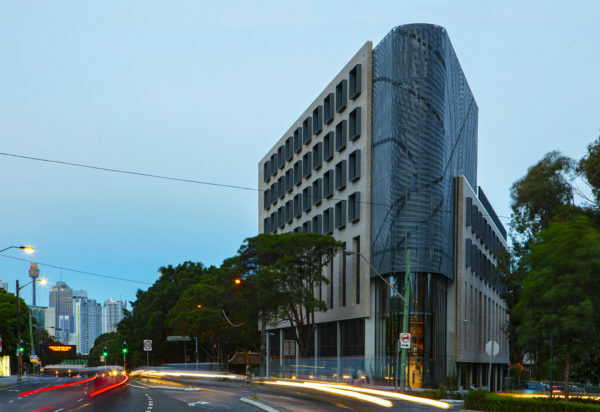 The sustainable principles employed on the project align with Deakin University’s neutral energy targets and aspirations to fulfill sustainable ambitions.